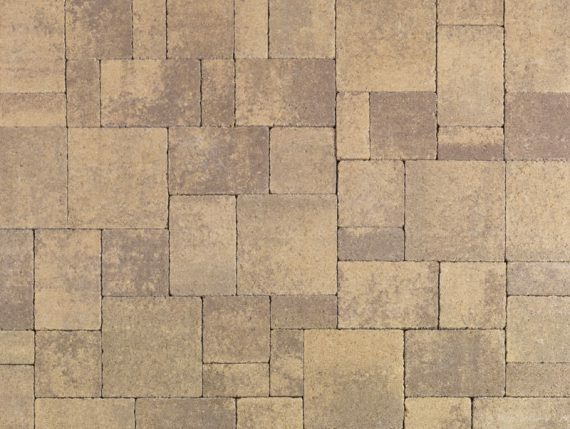 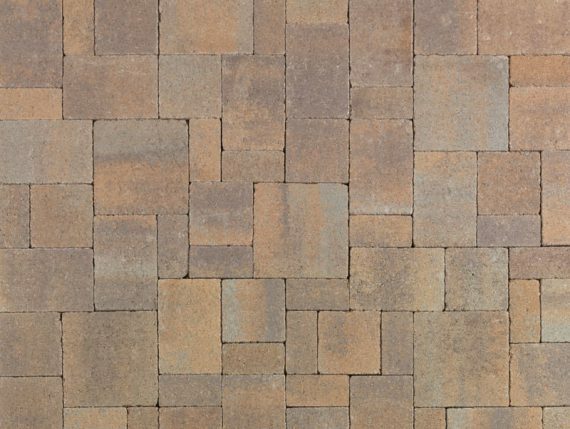 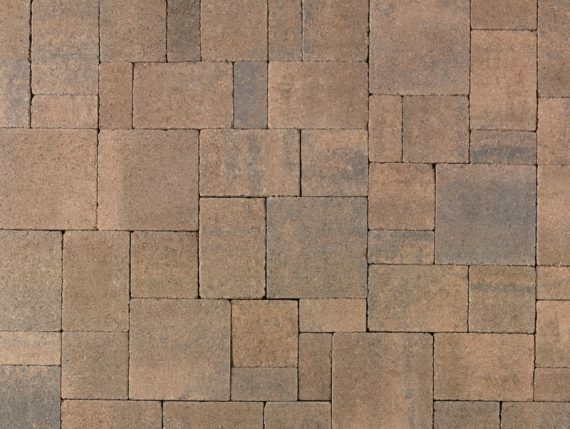 Sand-Stone-Mocha Castle Cobble I and II (distressed) installed in a random ashlar pattern with Castle Cobble II Sand-Stone-Mocha border. 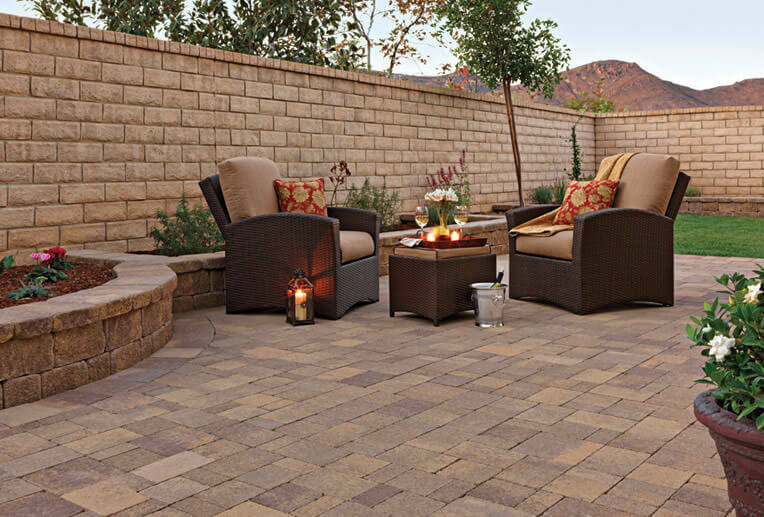 The retaining walls are Sand-Stone-Mocha Stonewall II block and cap. 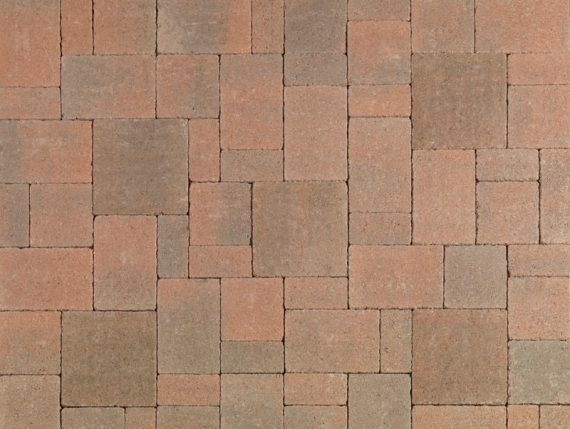 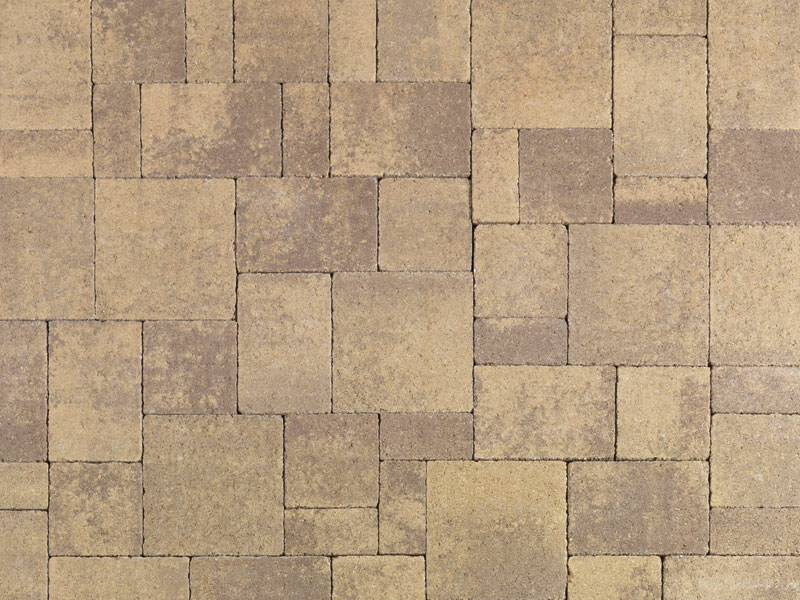 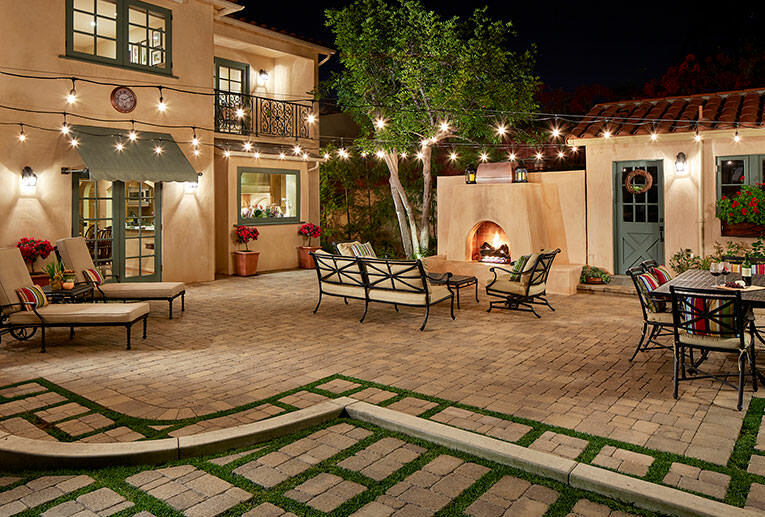 Sand-Stone-Mocha Castle Cobble I & II (tumbled) installed in a random ashlar pattern. 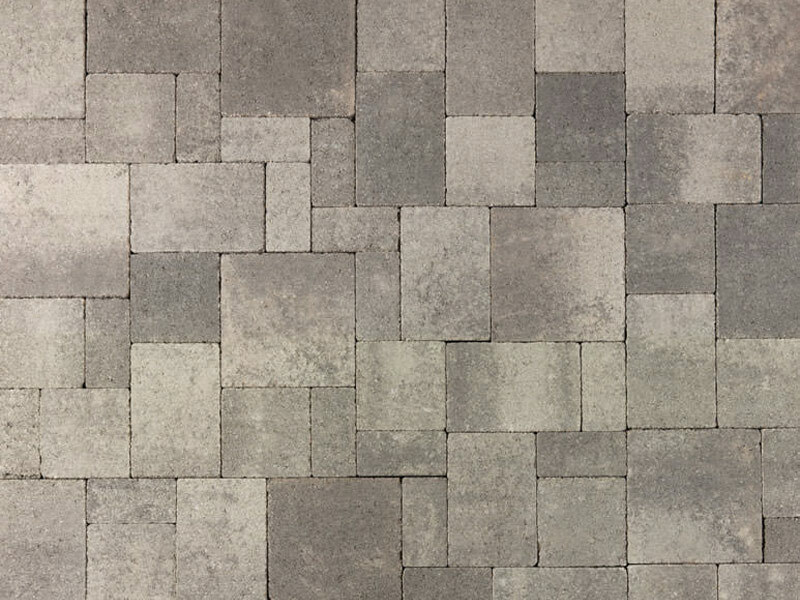 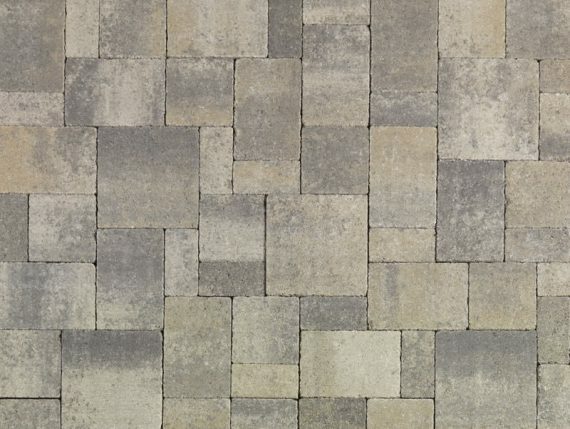 50/50 field mix of Cream-Brown-Charcoal and Gray-Moss-Charcoal Castle Cobble I and II (distressed) in a random ashlar pattern. 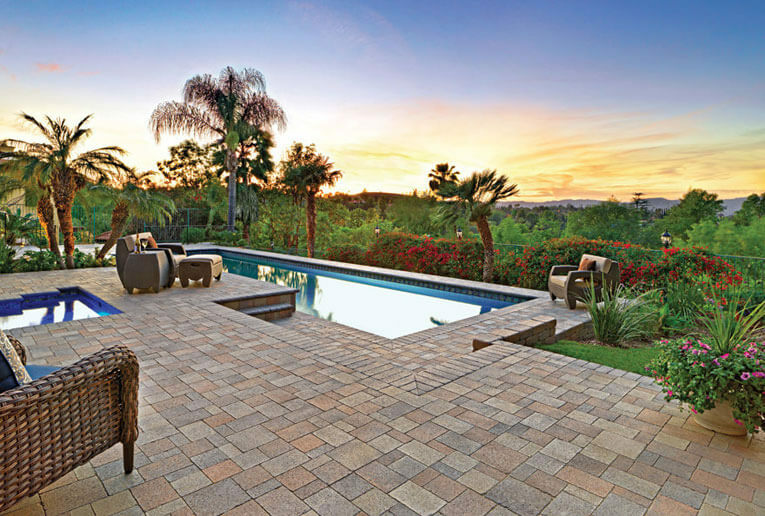 Steps and pool coping are solid Charcoal Bullnose. 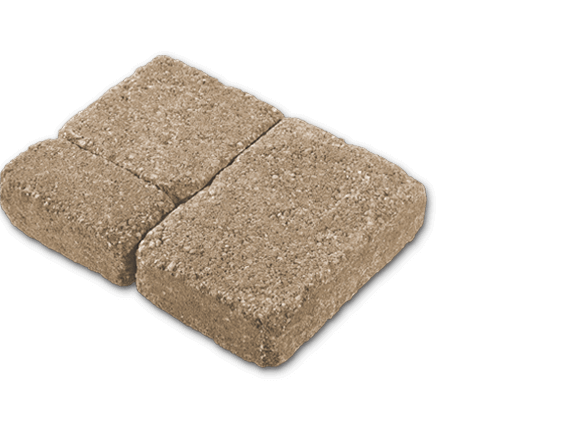 Sand-Stone-Mocha Castle Cobble I and II tumbled. Stones have a FLAT top with NO manufactured chamfer or spacer. 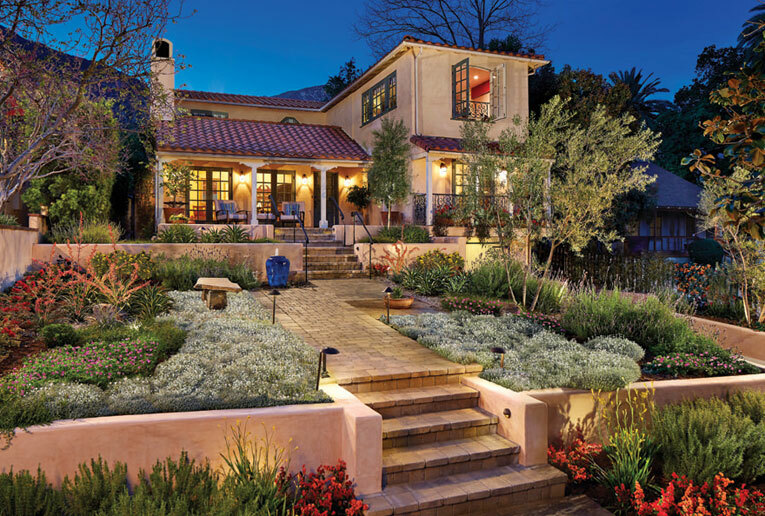 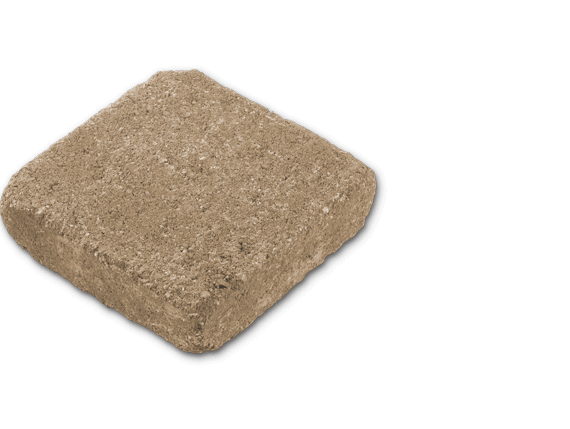 Stones should be installed with a 1/16-inch to 1/8-inch sand joint.